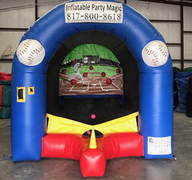 Inflatable Party Magic LLC located in Cleburne, Texas is your Inflatable Specialist for many Texas cities such as Burleson, Crowley, Midlothian, Waxahachie, Granbury, Mansfield, Arlington, Benbrook, Fort Worth, and many more. If you are trying to please someone that is competitive, you have come to the right place! 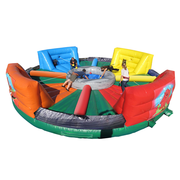 Interactive Inflatables and obstacle courses provide the perfect addition to teen parties, adult parties, After-Prom parties, College Parties, Middle School, and Elementary school events. 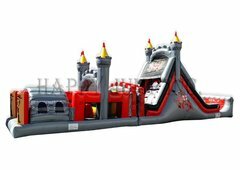 At Inflatable Party Magic, interactive Inflatables are our specialty and they offer exactly what you want in the way of inflatables that challenge all different age levels. 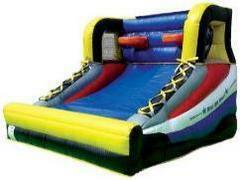 They are a great way to get teens up, moving, and having a good time. Trying to find activities for teens and adults can be really difficult, but we can help you with that. 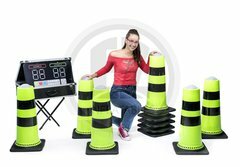 Give one or some of our interactive games and obstacles course a try at your next event and watch the competition begin. 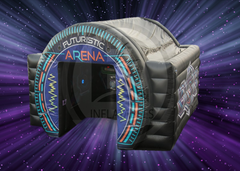 The term interactive refers to games that are geared for competition and multiple player participation. 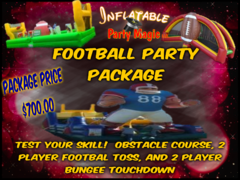 Interactives incude such items as obstacle courses, bungee games, Wrecking Ball, Hungry Hippo Chow Down, Cannon Ball Blaster, Inteactive Play System Light Games, Soccer Darts, Inflatable football toss, field goal kicking, baseball, and much more. The awesome thing about the interactives is that most all of them include multi-player games for competition and quick put through. 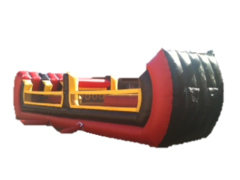 Most of our interactive inflatables are between 2 and 4 player games. 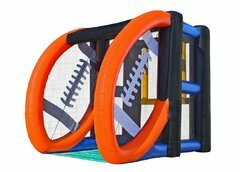 They will test your skill, speed, agility, and physical stamina at every level. 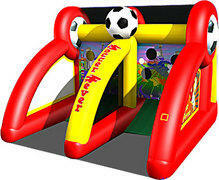 Inflatable Party Magic has a huge selection of interactives at different sizes and price levels to choose from. You will not be disappointed in what we have to offer! 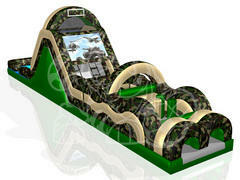 Interactives are the best choice for school, church, corporate, and large city events. 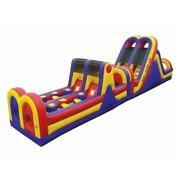 They are widely used at school field days to encourage healthy and fun competition. 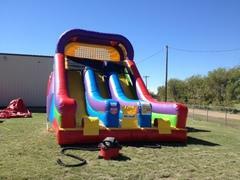 We do many school fall festival and reward days as well. 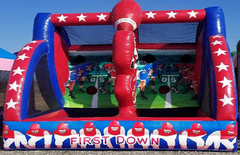 Be sure and book field days and year end parties early as we service a large number of schools and most of the schools we service do multiple events during the months of April and May. 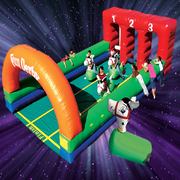 Church youth and children ministries also love the interactives and obstacle courses for their functions and special events. 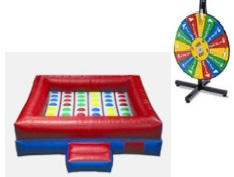 Vacation Bible School is also a great time to rent these items . 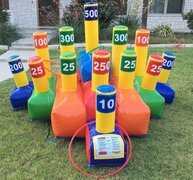 Many churches use interactives to kick off their VBS event or on the last day to end with a celebration. 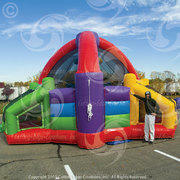 Don't forget to book early for Church fall festivals since fall festivals fall within our busiest time of the year. 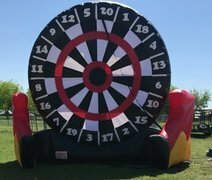 Corporate and City Events use the interactives to get attention for their events and entertain children, teens, and adults. 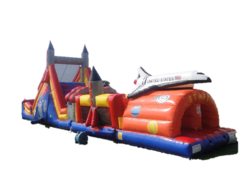 Don't forget to add tents, tables, chairs, dunk tanks, or pony rides to these events to make them complete and bring in the most fun and attendance to your events. 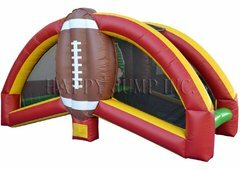 Don't forget the tables, chairs, party games, cotton candy machines, popcorn machines, snow cone machines, frozen drink machines, photo booth, etc. 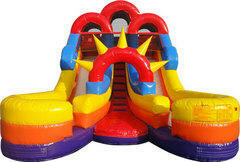 Inflatable Party Magic offers everything you need to make your party a complete success. 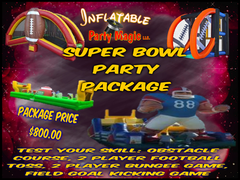 You can add items or even party packages to complete your party needs with just a simple click of the button. 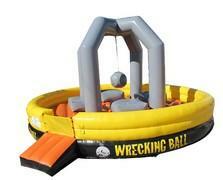 Party games are very low in cost, but high in value to add to your order. 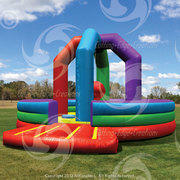 Party Extras offer that special party accent to occupy the kids and keep them fully entertained. 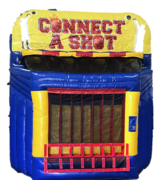 It is simple to book online or if you don't like to book things online, give us a call and we will be happy to book your party rentals for you. 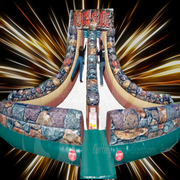 If you choose to book online, you will choose your date and event times and then simply answer all the questions and provide a $50.00 deposit to secure your rental quickly and easily online. 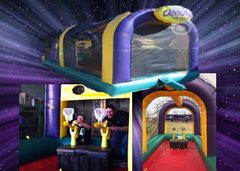 We look forward to providing the Party Fun at your next event!